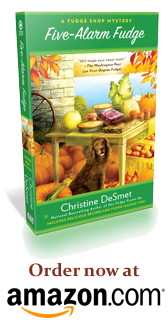 Christine DeSmet: Author | Mysteries starring fudge, fowl, and other fun! Welcome to my author home! I write mysteries featuring fudge or fowl (two different series). I mix in fun, little-known facts, recipes about fudge, a bit about Belgians and the culture of Wisconsin and the Door County Peninsula. They say in Wisconsin there’s a holy trinity of beer, brats, and cheese. Didn’t I tell you we’re about fun? But my books take you into culture in a more, well, cultured way, too. I even delve into the history of fudge! There are types of fudge around the world in most cultures, but it only took hold in this country in the 1840s when it sold for pennies at fundraisers at Vassar College. Find out more when you read Book 1, First-Degree Fudge, of The Fudge Shop Mystery Series. Do you have chickens? Love reading about them? (That’s my other series of short, humorous mysteries set in fictional Moonstone, Wisconsin.) What do you do with all your eggs??? Let me know. Thank you for taking the time to stop by here today. 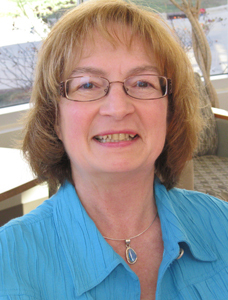 I look forward to entertaining you with my mystery short stories and novels. Also—New in paperback, two novellas in one book!